The devices connected to your router battle for bandwidth like thirst-crazed beasts jostling for access to a receding watering hole. You can’t see the melee, but you can feel its impact. Without intervention, the strongest competitors—a BitTorrent download, for instance—will drink their fill, even if it’s not essential to their survival, while others—a VoIP call, a Netflix stream, or a YouTube video—are left to wither and die. A router with good Quality of Service (QoS) technology can prevent such unequal distribution of a precious resource. You can dip only one straw into the Internet at a time, after all. QoS ensures that each client gets its chance for a sip, and it also takes each client’s specific needs into account. BitTorrent? Cool your jets. If one of your packets is dropped, it’ll be resent. You can run in the background. Netflix, VoIP, YouTube? Lag results in a bad user experience. Your data gets priority. That’s a gross oversimplification, of course. Here’s a more in-depth explanation. QoS, also known as traffic shaping, assigns priority to each device and service operating on your network and controls the amount of bandwidth each is allowed to consume based on its mission. A file transfer, such as the aforementioned BitTorrent, is a fault-tolerant process. 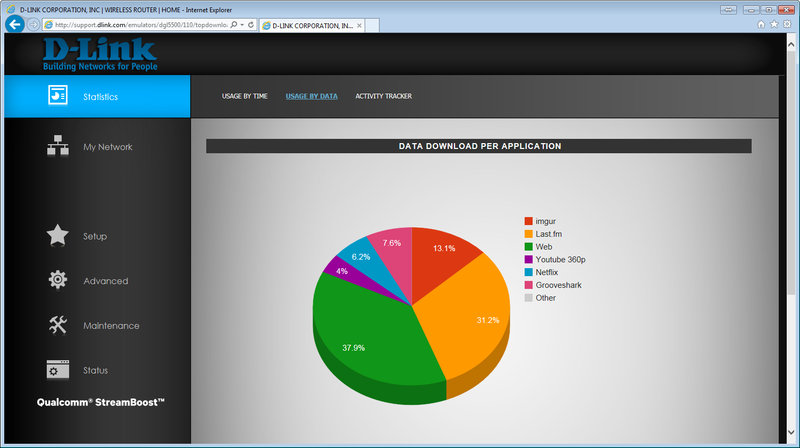 The client and the server exchange data to verify that all the bits are delivered. If any are lost in transit, they’ll be resent until the entire package has been delivered. That can’t happen with a video or audio stream, a VoIP call, or an online gaming session. The client can’t ask the server to resend lost bits, because any interruption in the stream results in a glitch (or lag, in terms of game play). QoS recognizes the various types of traffic moving over your network and prioritizes it accordingly. File transfers will take longer while you’re watching a video or playing a game, but you'll be assured of a good user experience. Different routers take different approaches to QoS. With some models, you simply identify the type of traffic you want to manage and then assign it a priority: High, medium, or low. With others, you can choose specific applications, or even identify the specific ports a service or application uses to reach the Internet. Yet another way is to assign priority to a specific device using its IP or MAC address. 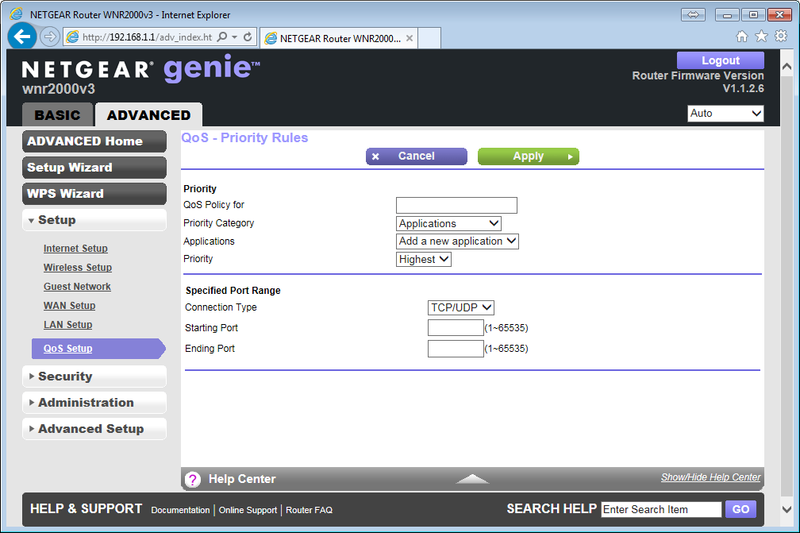 Many older routers, such as this Netgear WNR2000 802.11n model, have predefined Quality of Service for a limited number of applications, but you must configure your own rules for anything the manufacturer didn’t think of. Configuring QoS this way can be very cumbersome, requiring lots of knowledge of protocols, specific details about how your router operates, and networking in general. Some routers, for instance, depend on you to inform them of the maximum upload and download speeds your ISP supports. Enter the incorrect values, and your network might perform worse instead of better. 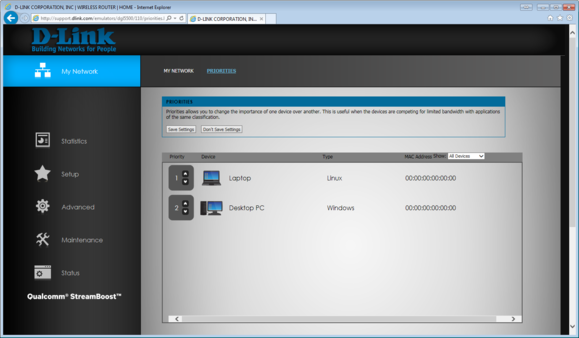 Fortunately, router manufacturers have made great strides in making QoS easier to configure. In some cases, it’s become entirely automatic. Some routers include the option of automated QoS handling. Most newer models support the Wi-Fi Multimedia (WMM) standard, for instance. WMM prioritizes network traffic in four categories, from highest to lowest: Voice, video, best effort (most traffic from apps other than voice and video), and background (print jobs, file downloads, and other traffic not sensitive to latency). WMM is good as far as it goes, but it ameliorates only wireless network contention. It does nothing to resolve the battle for bandwidth among wired network clients. 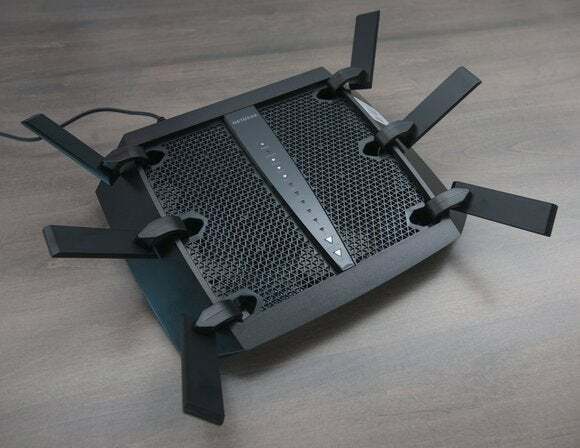 Better routers go further to cover both sides of the network. They automatically choose which traffic gets priority based upon assumptions—putting video and voice ahead of file downloads, for instance. The intelligence behind each vendor’s QoS functionality, however, varies according to the quality of the algorithm in use and the processor power available to run it. Qualcomm's StreamBoost technolog enables the the D-Link DGL-5500 to display exactly what's consuming the majority of your network's bandwidth. Right now, Qualcomm’s StreamBoost traffic-shaping technology seems to be the hot QoS ticket. StreamBoost, first announced in January, 2013, is based on technology originally developed by Bigfoot Networks. Bigfoot, a company that Qualcomm acquired in 2011, designed network-interface cards targeted at gamers, who are among the most latency-sensitive computer users in the world. Qualcomm doesn’t manufacture routers, but the company does design and manufacture processors that go into high-end consumer routers such as Netgear’s Nighthawk X4 and D-Link’s DGL-5500 Gaming Router. While there’s no technological barrier to running StreamBoost on a Marvel or Broadcom processor, Qualcomm currently doesn’t license the firmware separate from its chips. StreamBoost can distinguish between and prioritize latency-sensitive traffic (audio, video, gaming, and so on) over latency-insensitive traffic (downloads, file transfers, etc. ), and it can adjust its allocation of bandwidth to various network activities to ensure all clients get a good experience. If several clients are streaming Netflix videos at the same time, for instance, it can automatically reduce one or more of those streams from 1080p quality to 720p quality to ensure all the sessions have enough bandwidth. What’s more, StreamBoost can distinguish among the types of client devices and reduce the image quality streaming to a smartphone or tablet, because the degradation won’t be as noticeable on those small screens as it would be on a big-screen smart TV. StreamBoost lets you assign priorities to client PCs, so you can preserve bandwidth for a smart TV at the expense of a PC used for BitTorrent downloads, for instance. StreamBoost’s bandwidth graphs and tools provide better visibility and more precise tuning than other QoS tools I’ve seen. And if you opt in to participate, you’ll receive ongoing updates from Qualcomm’s database in the cloud so that your router can continually optimize its performance and learn how to handle new devices that come on the market. 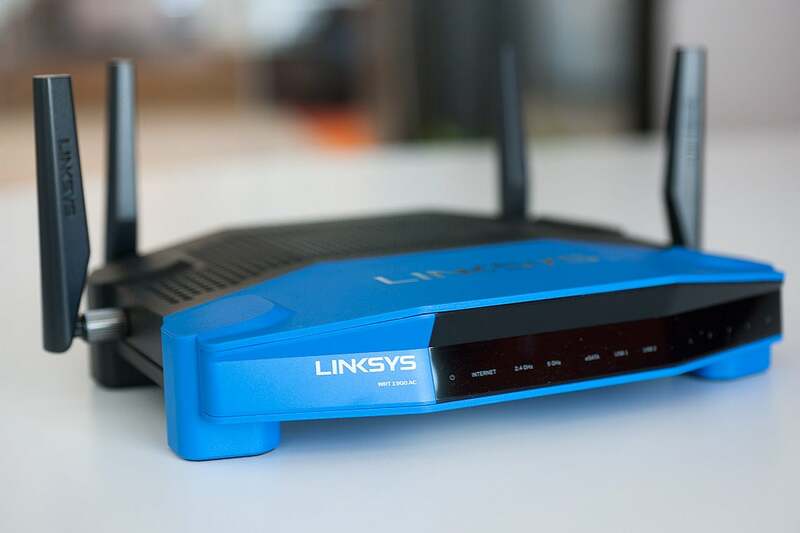 StreamBoost support alone won’t make a crappy router great, but it can make a difference. Good Quality of Service is essential if you use your network to stream video, play online games, make VoIP and Skype calls, or watch YouTube (and if you don’t do any of those things, you wouldn’t have clicked on this story in the first place). The performance benefits you’ll realize might even save you from moving up to a pricier service tier with your ISP. An 802.11ac router can deliver higher performance even with clients that are equipped with 802.11n adapters. But there are other things you can do beyond traffic shaping. Perform a site survey using a tool such as Kismet to see which radio channels your neighbors are relying on, and configure your router to use something else. There are only three non-overlapping channels in the 2.4GHz frequency band: 1, 6, and 11. Use one of these if possible. If you have a dual-band router that supports both the 2.4- and 5GHz frequency bands, use the less-crowded higher frequency for latency-sensitive traffic such as media streaming, and reserve 2.4GHz for things like downloads. There are many more non-overlapping channels at 5GHz, and the higher channels—150 and up—support more bandwidth than the lower channels. Lastly, if you’re using an 802.11n (or older) router, consider moving up to a model based on the newer 802.11ac standard. Even if your clients are stuck with 802.11n adapters, you’ll still see a significant performance boost with an 802.11ac router.